brainshirt. | Impulse berichtet über brainshirt. 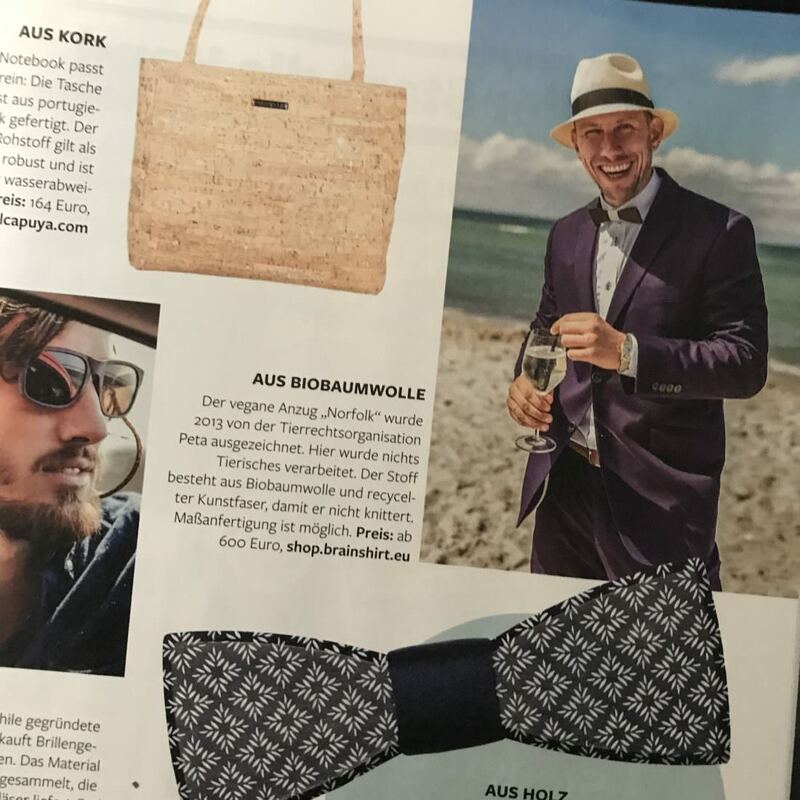 Under the heading “Fühlt sich gut an” (Feels good), the business magazine Impulse dedicates a detailed feature to sustainable business fashion. 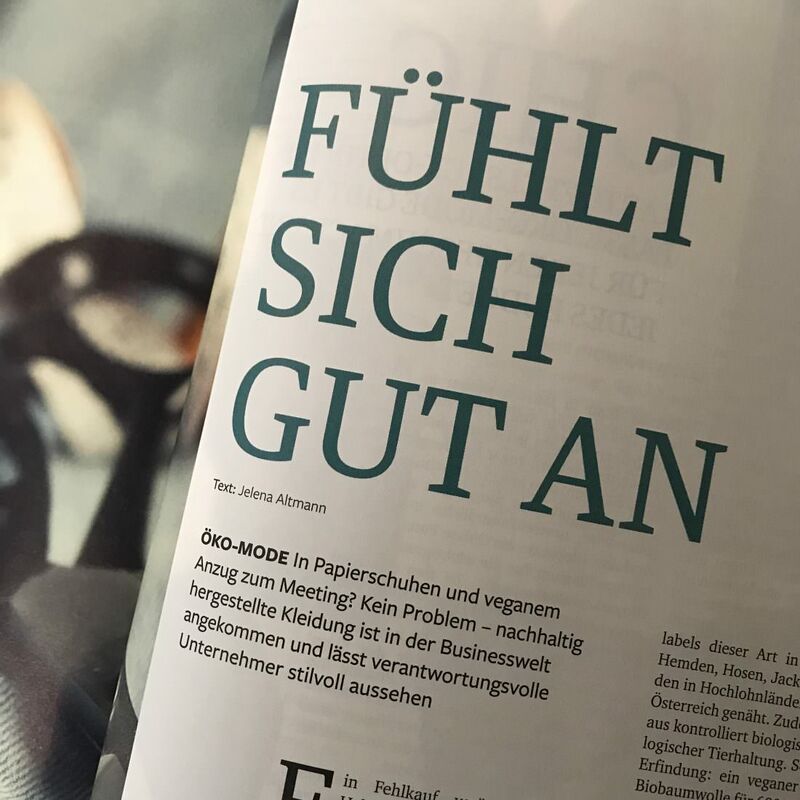 One of the actors who has his say in Jelena Altmann’s report is brainshirt founder Matthias Hebeler. The special focus of the story lies on the foundation of the company, the demands of the brand with regard to quality and sustainability, and the business suit Norfolk, which Impulse cites as a prime example of sustainable textile production. In addition to the brainshirt managing director, Thilo Schwenzfeier, the show director of the new green Berlin fashion fair “Neonyt”, reports on trends in sustainable textile production. For him, there was no longer any contradiction between ethically correct and fashionably appealing, as the exhibitors in Berlin showed. This had been different at the beginning of the millennium, but there had been a clear development here. Matthias Hebeler also sees it that way. Sustainable is good, but sustainable alone is not enough. “Even an eco-suit must fit, feel good and stay in shape when the wearer sits in the meeting all day. If the quality is not right, clothing cannot be sold”. But if the product satisfies the customer’s requirements, the sustainability aspect is on top like a sweet. 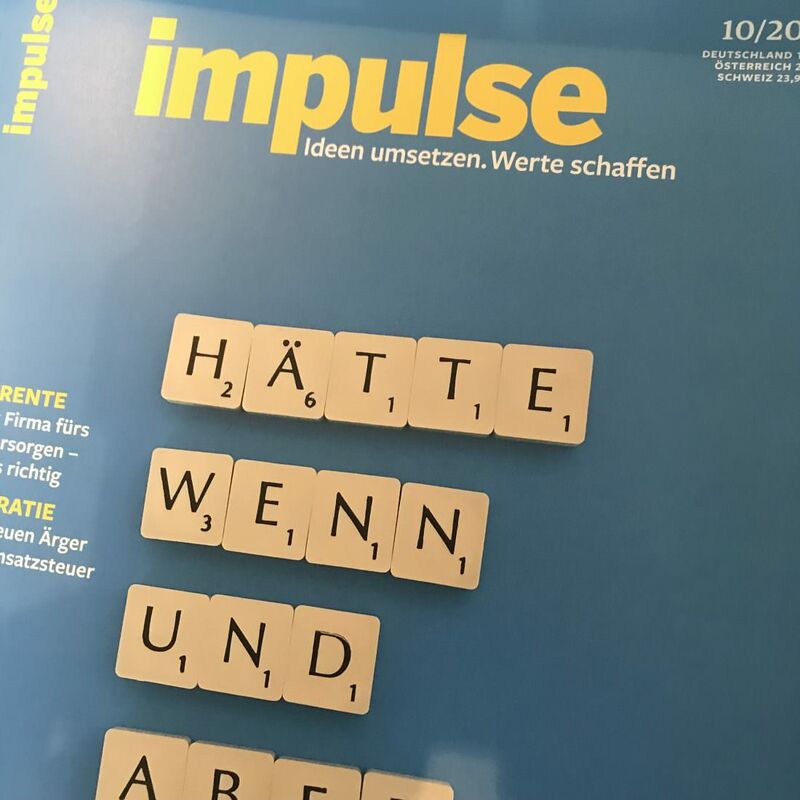 You can read the entire article in the current issue of Impulse, issue October 2018. It’s time for another cut. Wir freuen uns auf den Dialog mit Ihnen. Bitte folgen Sie uns auch in den Social-Media-Netzwerken.